Dozens of San Francisco parks, plazas and open spaces will soon be offering visitors free Wi-Fi, thanks to a partnership with tech giant Google, a city supervisor announced this morning. The free Internet access will be available in some spots starting in December, and will be offered at a total of 31 sites by the spring of 2014. Some of the new Wi-Fi spots include the Marina Green, Justin Herman Plaza, Alamo Square, Balboa Park, Civic Center Plaza, Crocker Amazon Playground, Duboce Park, Dolores Park and Washington Square Park. According to Farrell’s office, the supervisor has been working to bring free Internet to San Francisco for the past two years. He teamed up with the city’s Citizens Initiative For Technology and Innovation and Google, which is providing a $600,000 grant to fund the project. Sf.citi will work with the city’s Department of Technology to install and maintain the equipment. City officials say San Francisco Recreation and Parks will benefit from the connectivity, with park visitors more likely to sign up for programming if they can access the agency’s online applications while visiting parks. 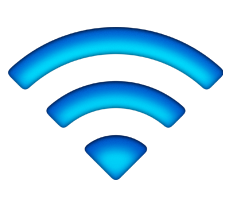 A complete list of the planned WiFi spots is available at http://www.sfbos.org/index.aspx?page=15191.